Internet calling, a subset of VoIP (voice over IP), lets you use a phone or a computer to place calls to and from “real” phone numbers on the public switched telephone network (PSTN). Internet calling plans save you money by capping call expenses. Plans combine local, long-distance, and calling features (such as voice mail, caller ID, and more) that are marked up excessively when you add them to a traditional landline. Tap cable and DSL bundles When it comes to avoiding the crackling sound quality and dropped calls you might think are part and parcel of VoIP, broadband operators have the advantage. They manage both your side and their side of the phone call, and the gear they provide for your network talks directly to hardware on their end. These firms also split out calls in their network before the calls hit the hurly-burly of the Internet. In an attempt to wrest business from telephone companies that provide DSL broadband, Comcast, Cablevision, and other cable operators have been heavily discounting service bundles that include regular and some premium television, voice (unlimited U.S. calls), and broadband. This “triple-play” bundle typically starts at under $100 per month; HD may be extra. Some DSL broadband providers, including Best Buy’s Speakeasy, also offer their subscribers Internet calling. Speakeasy’s plans for broadband DSL and VoIP start at $84 (unlimited calls in the contiguous United States, plus 22 other countries). Try VoIP-only providers VoIP-only companies use whatever broadband Internet connection you have for your calls. As a result, the quality of the calls depends on the quality of your local network, your available bandwidth, and your broadband provider, as well as the connection from your broadband provider to the VoIP firm’s gateway. VoIP-only plans are the best overall value outside broadband bundles, and they work with any broadband provider. Vonage, the largest and one of the longest-standing independent VoIP providers, supplies you with an adapter that lets you use existing telephones (adapter included free in some plans). Vonage offers several plans (two-year contract required) starting with an $18-per-month 500-minute plan (for the United States, Canada, and Puerto Rico) and a $25-per-month unlimited calling plan (for those countries plus five European countries you choose). Prices are similar at other Internet-based VoIP firms. Skype takes a computer-based approach to VoIP. Attempts over the last few years to offer Skype phones and Skype landline adapters haven’t gained much of a foothold. Instead, you typically use a USB headset and a computer or an iPhone application (over Wi-Fi only) to place and receive calls. Both computer-to-computer and PSTN calls are handled in the same way. You can call other people’s Skype accounts for free or pay for calls to the regular phone network. Skype charges $3 per month for unlimited outbound calling to the United States and Canada. An inbound phone number costs $60 per year, but there’s a 50 percent discount when it’s combined with any outbound subscription plan. That totals just $5.50 per month for unlimited inbound and U.S. and Canada outbound calls. ooma offers a twist on traditional VoIP: You pay a one-time fee of $250 for the hardware (the ooma Hub) and service, and then get unlimited U.S. calling from then on. For $13 per month or $100 per year, you can also opt for a premium offering that comes with an on-demand second line, multiple voice-mail boxes, and other features. The benefits of ooma do rely on the company’s ability to stay in business at least long enough so you recoup your investment. Want to get rid of your landline, but prefer to rely on a cell phone rather than VoIP? You might be able to save money by placing calls from your mobile phone over broadband. You need DSL, cable, or T-1 (a business-grade service) to do this. The happy side effect is that you’ll get dramatically better call quality inside your home. Use T-Mobile’s HotSpot Calling T-Mobile offers Unlimited HotSpot Calling ($10 per month, individual or family plans), which routes calls via Wi-Fi when you’re on your home Wi-Fi network or at T-Mobile hotspots or other hotspots to which you have access. You don’t use any of your plan minutes when you make U.S. calls or receive calls as long as a call starts on a Wi-Fi network. You need a T-Mobile voice plan of $40 per month (individual) or $50 per month (family) or more, and one of several models of dual-mode phones that support UMA (unlicensed mobile access), the technology T-Mobile uses. You can also get a router from T-Mobile ($20 with a two-year contract) that has special features intended to reduce handset battery use. Want to use VoIP to make calls over the Internet and also preserve cell-phone minutes when you're at home by routing mobile calls over your wireless network? The T-Mobile HiPort router lets you do both for a remarkably low monthly fee if you're a T-Mobile cell customer. T-Mobile also offers a home VoIP add-on for use with regular telephones (T-Mobile @Home, $10 per month, unlimited U.S. calls). 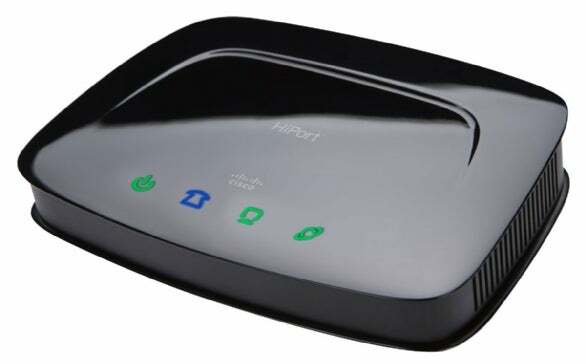 This option is much like the Internet calling services above, but it’s still an add-on to a cellular subscription, and requires a special router (HiPort, $40 with a two-year contract) that can also do HotSpot@Home. Turn to femtocell technology Other carriers have opted to extend mobile phones to broadband through femtocells. These are low-power versions of the cellular base stations on towers, designed to plug into a home broadband connection. Both Sprint Nextel and Verizon Wireless offer 2G (second-generation) voice-only femtocells. For Sprint’s offering, you must purchase a $100 Airave femtocell for your network and pay a $5 monthly fee to use it with your account. You can then get unlimited U.S. calling via the Airave for $10 per month per line, or $20 per month for multiple phones on a group plan sharing minutes. Sprint’s plan makes sense only if you can shift at least $15 for you or $25 for a family from your long-distance bill or reduce your monthly cell plan’s cost—or both. On the other hand, Verizon Wireless is selling its Network Extender ($250) purely as a signal improver. That makes this service useless if you’re trying to save money: you’re burning through minutes just as fast via the femtocell as over the regular phone network. AT&T’s 3G MicroCell, which the company recently confirmed is in active testing, will work only with 3G phones, and handles both voice and data calls. However, AT&T hasn’t revealed pricing or plans. iPhone users will have to wait to see if they’ll be able to save a dime this way. Glenn Fleishman contributes regularly to Macworld on networking issues. His most recent book is Take Control of Your 802.11n AirPort Network .